Swimming pools are a tremendous addition for your house and garden. Available in all shapes and sizes and for all budgets, they are great for health, fitness and well-being, as well as being a great place to spend quality family time together during the long summer days. Pools can either be located in ground or above the ground or even a combination of both. 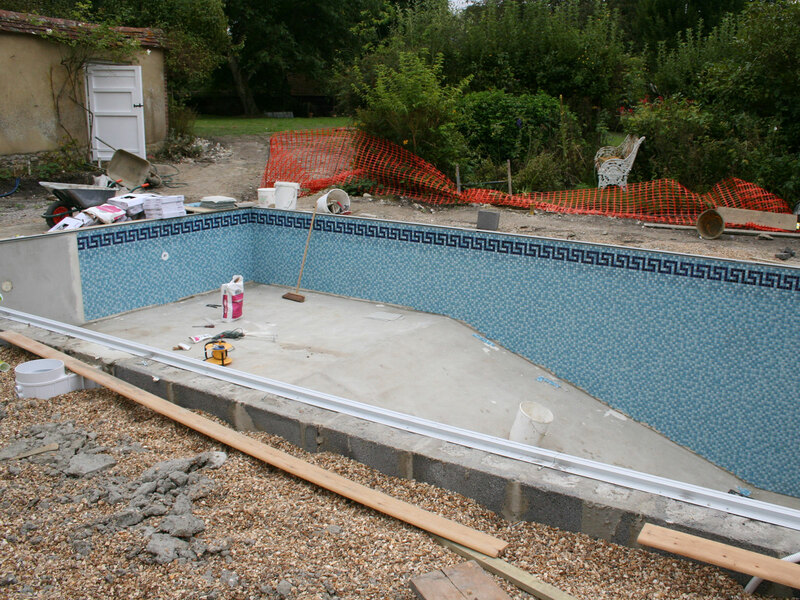 Installing a pool is a major undertaking which requires careful consideration and planning. We have the experience and expert knowledge to advise and assist in the design process and we are happy to work with the client’s builders on all pool builds. In-ground pools provide a permanent landscaped domestic pool that will provide years of enjoyment. Above ground pools provide a quick and cheap method of establishing a domestic pool. 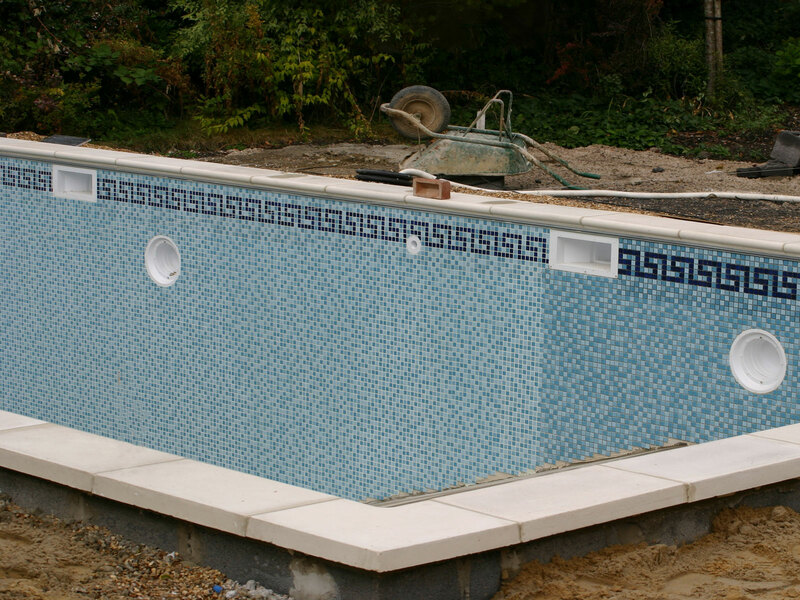 A self build pool kit is ideal for the handy DIYer. 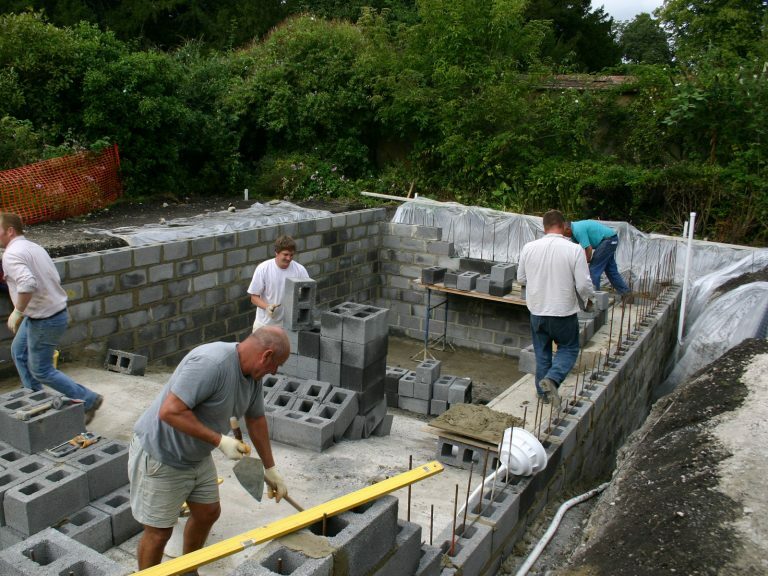 Self-builds enable any one with basic DIY skills to construct a pool to be proud of. 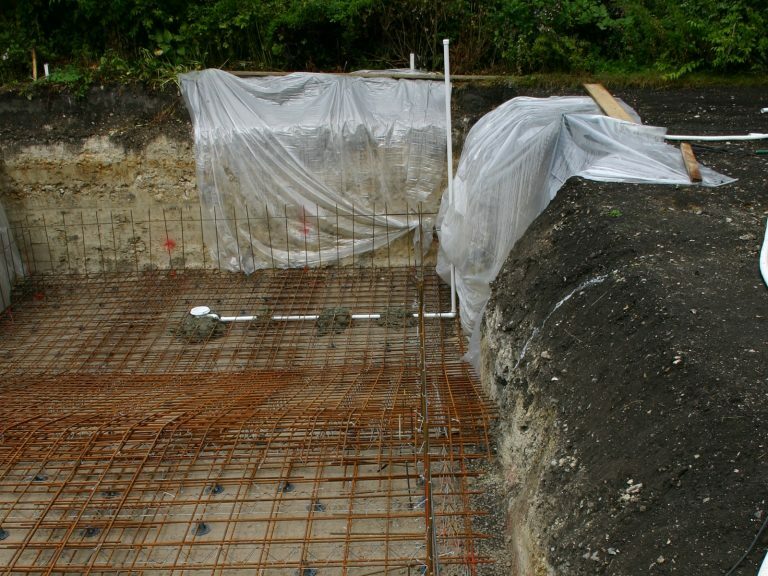 We are always happy to help with the design and planning process from the very beginning right up to the completion of the pool, we can offer advice and tips from past project experiences to ensure that you get exactly the right pool for your requirements and site conditions. 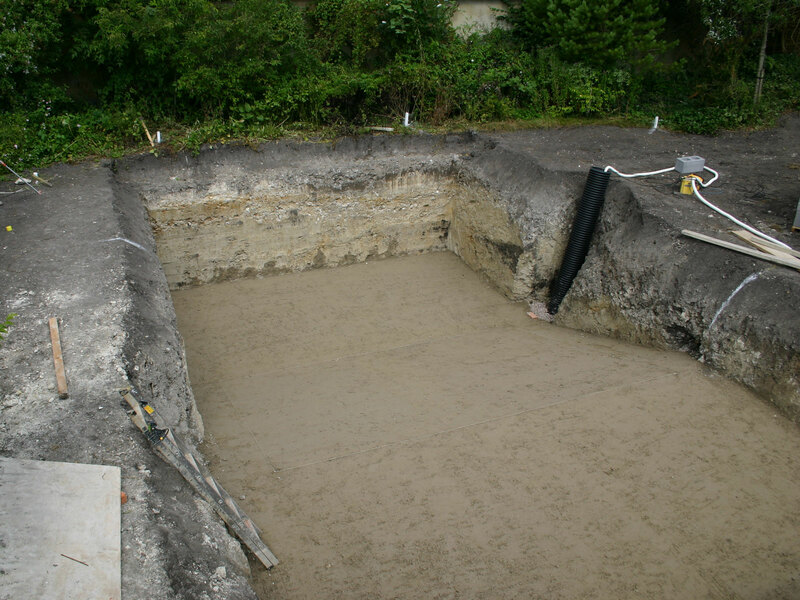 There are a few things to consider right at the early stages of planning which will determine the overall costs and enjoyment of the finished pool, we will be happy to guide our clients through this process and advise throughout the construction process. Please see below our handy checklist which contains some of the main points to consider. Click on the images to review and walk through the stages of build. Starting off. Choose a spot where you have maximum exposure to all day sunlight and is conveniently situated from your house. Digging out. Make sure you consider the area around the pool for paving and the placement of a summer house for storage and outside entertaining. Concrete binding. 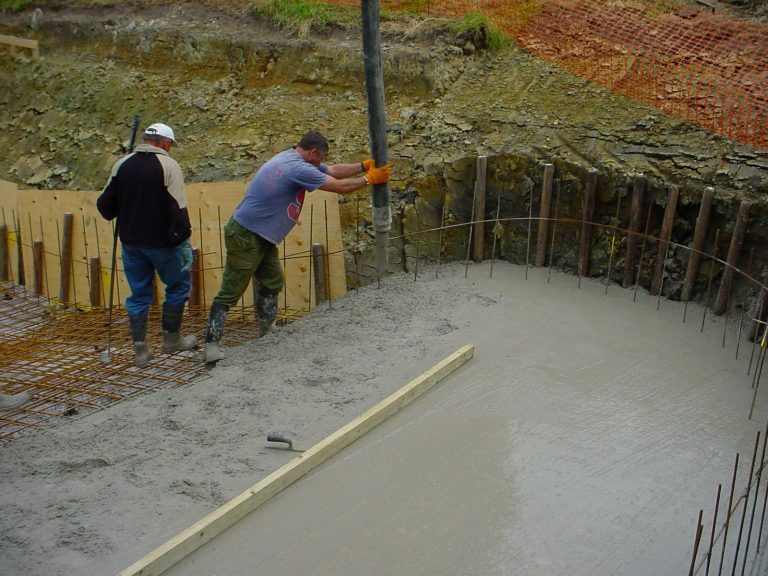 Ensuring a good solid base upon which to assemble the pool is essential. Assembling steel work. Don’t build the pool too far from your house if it means a long walk across the garden in your swimwear, this can take the enjoyment away from using the pool. If the best location is a distance from the house then a summer house could be installed near the pool location which can be used as a changing room. Concreting in. 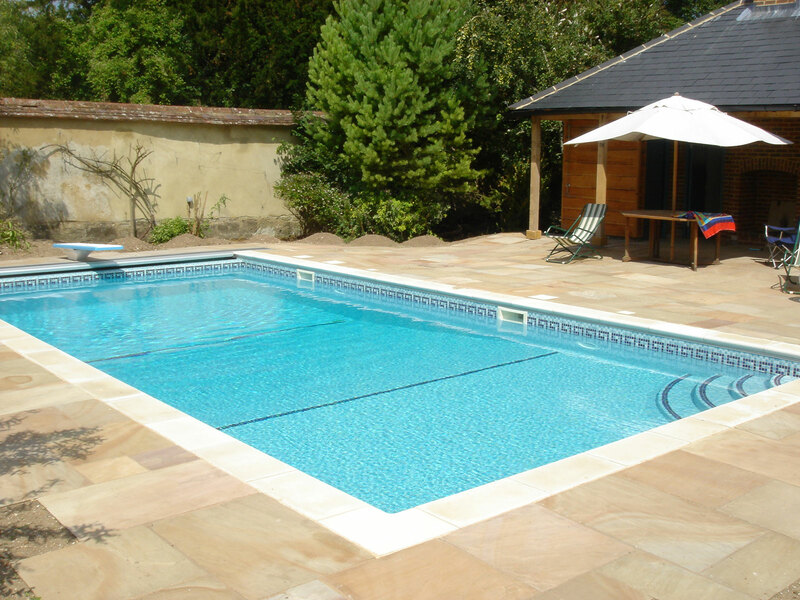 Consider the size and shape of the pool carefully, a square or rectangular pool is much easier to cover than a freeform shape, many pools in the UK are rectangular as a pool cover is a must in our climate, a cover will retain the heat in the pool as well as help reduce debris from entering the pool. A pool that is too large will require more heating and maintenance where as a pool that is too small may quickly be outgrown as the children get older and their circle of friends increase. Block work. 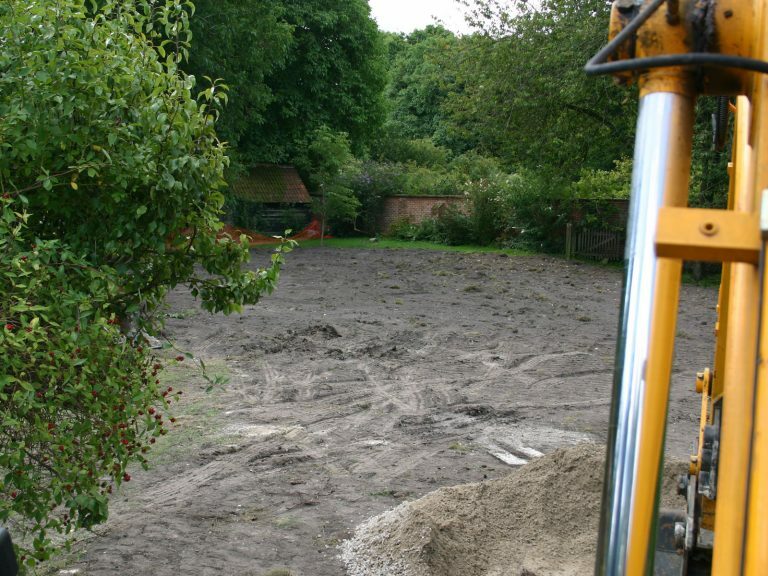 You’re unlikely to require planning permission unless you choose an enclosed pool but we do recommend that you contact your local planning department before you do any work, a quick phone call to the local planning office is usually enough. Rendering the pool. Access and ground conditions should be considered as this will affect the costs of the initial build. 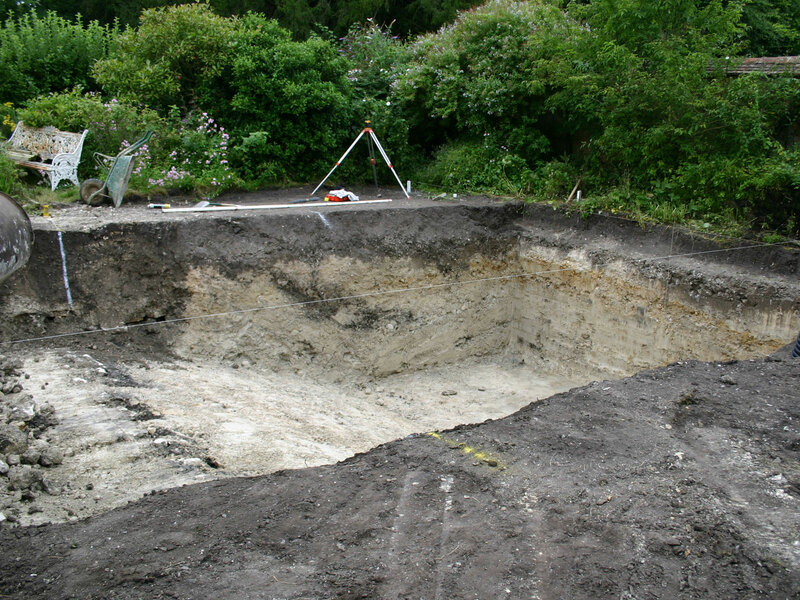 Things such as ground water, hard rock or heavy clay soils will have an impact on how the pool can be constructed and the overall cost of installation, removing soil from site can be a costly task and access needs to be good to allow vehicles in to remove the spoil, if this can be left on site and landscaped into the overall project or used to fill in other areas within the property then it is worth considering that option. Tiling the pool. Most pools will require heating, the time of year the pool will be in use and the desired temperature of the water when the pool is in operation should be considered at planning stage to ensure the correct equipment is installed, we can advise on heat pumps, boilers and even ground source heat pumps depending on what is available on site and the usage requirements of the finished pool. Finally, you may wish to consider enhancing your pool with extras, such as underwater lights; self-cleaning mechanisms; diving boards; counter swims and pool furniture, all of which we have great experience with and can offer advise on the best options for individual requirements.